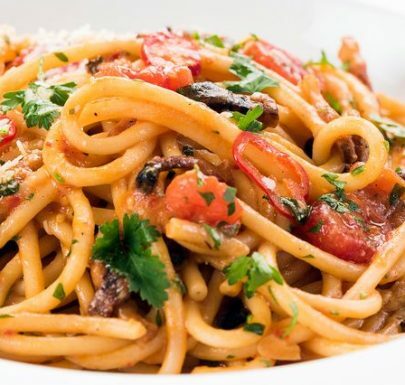 Italians have accorded pasta prominent status in their many regional cuisines. One of the first foodstuffs to be manufactured commercially, pasta is universally popular. No one knows for sure when pasta entered the cuisines of the world or who invented it. But the Italians can certainly be credited with developing its manifold varieties and spreading them around the world. Every form of dough that is rolled thin and cooked on a hot metal surface can be regarded as a forerunner of pasta.